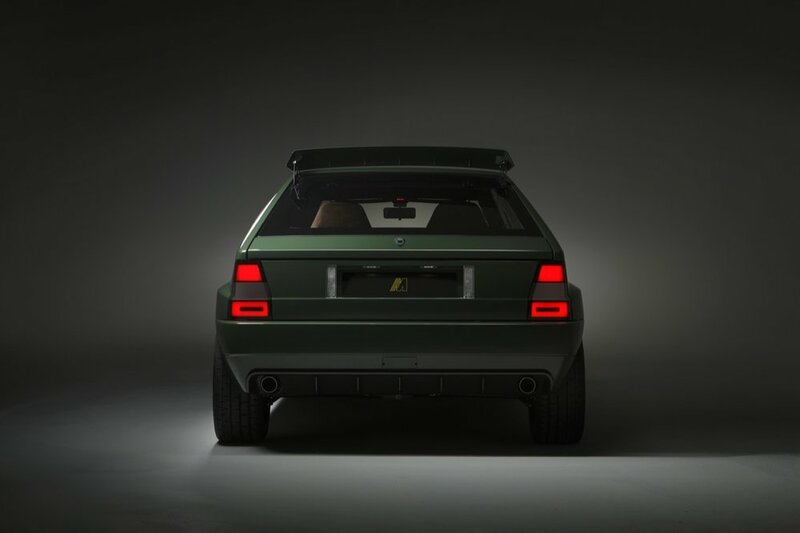 As a creative who's obsessed with timeless and beautifully designed objects, the exceptional Lancia Delta Futurista by Automobile Amos is as close to perfection as you can get. An already iconic classic Lancia, reimagined to magnificent heights. From its brutalist widened wheel arches, lovingly hand-beaten, modern carbon fibre detailing and LED lights to its stunning black spoked alloys it is a flawless design. Inside, the beauty continues with luxurious, rich brown suede Recaro seating, redesigned cluster with striking yellow detailing and precision engineered switchgear. This is also one of my all time favourite colour combinations too - dark green, brown and black. This has got to be one of the best reimagined retros I have ever seen, perfection.